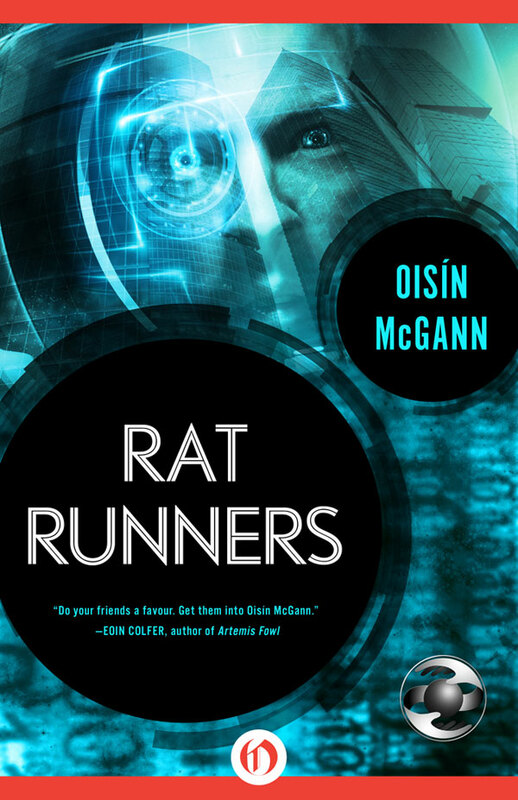 READ Rat Runners FREE online full book. For Mags, Jenny, Aoife, Patricia, David, Nessa, and all the fantastic book people who make Children’s Books Ireland what it is. NIMMO HEARD THE whistles and immediately stopped what he was doing. People on the ground floor of the tenement were warning those above. There was a Safe-Guard in the building. He looked at his watch, noting the time. Six-fifteen—three hours before sundown. He needed to be gone before seven, or he’d have to leave the job for another night. If the Safe-Guard was just here to wander around, it might take half an hour or more to reach Nimmo’s floor. If it had an assignment, it would go straight to the apartment it wanted. There was no way of telling which, without going looking for it. There was no way he was about to do that. In Nimmo’s line of work, it didn’t pay to get noticed. He had his trainers off, and was fitting one with the kind of raised insole you used for flat feet, the type with a lump under the arch of the foot to support it. Nimmo did not have flat feet. And he only put an insole in the left trainer, leaving the other one as it was. Putting on the shoes, he walked around until he was satisfied that the arch support was having the desired effect. Taking the insole out, he stuffed both of them into the small backpack he kept near the door. Then he put his trainers back on. Pulling on his scuffed black leather jacket and his gray woolen hat, he slung the pack onto his shoulders and headed for the door of his dingy but well-kept apartment. A kid his age should not have been living alone, but there was no need for the authorities to know. With his lean, somber face, tall wiry build and close-cut red hair, he could pass for older if he needed to. He had several identities to match. He was reaching for the latch when a knock on the door caused him to freeze. A flicker of thoughts went through his head. Had the Safe-Guard somehow been assigned to him, despite the rules? What then? Stay there and look innocent? Try and bluff his way past? Get out now, by the window? Nimmo shook his head. If it was the Safe-Guard, it could see through the door. It could see his skeleton, hear his elevated heartbeat. If he’d had dental records, it could have identified him by his teeth. There was no point running. The knock sounded again. He opened the door. Watson Brundle was standing out in the drab, faded yellow corridor. A few inches over six foot, Brundle was a narrow, angular man with wide cheekbones, dark eyes and a curly mop of black hair. He always had a restless manner, moving with a twitchy energy. His large hands held a small flat leather box out in front of him; it was a little over twenty centimeters square, the kind you might use to hold an expensive necklace. “I’m going out,” Nimmo replied. “No. I need you to hide this for me, now.” Brundle was sweating as he thrust the case towards Nimmo. Brundle owned the whole building, and rented this small apartment to Nimmo for cash, no questions asked. “What’s in it?” Nimmo asked. “Six months’ rent,” Nimmo said. “What? Are you havin’ a laugh? Listen, I need to get out of here for a while, just until it’s gone. And I can’t take this out with me. How about two months, OK?” Brundle looked down the hallway towards the door to the stairwell. The elevator hadn’t worked in over a year. The Safe-Guard would have to climb the stairs. Brundle nodded frantically and pushed the box into Nimmo’s hands. Nimmo took it and closed the door. He heard his landlord stride down the hallway. Brundle was probably hoping to hide in one of the other apartments next floor down and let the Safe-Guard go past, and then leg it out and down the street. That was just dumb—he’d only bring suspicion on himself. Brundle wasn’t normally dumb. Having saved himself rent for the next six months, Nimmo could afford to give tonight’s job a miss. Dropping his pack on the floor by the door, he slipped off his jacket and hat and hung them on the hook. As he did these things, his mind was searching the apartment for somewhere to hide the box. He tried to open it, but it was locked, and the edge was sealed with some kind of plastic resin. If he forced it, Brundle would know. That wasn’t enough to stop him—he didn’t normally handle something if he didn’t know what it was—but there wasn’t time to start trying to crack it open now. The flat was a small two-bed place, though one of the rooms was little more than a box room. There was a living room with a kitchenette at the back, one large window looking out on the enclosed courtyard six stories below that boasted a run-down playground and a basketball court. The bedrooms were both off to the right, with a large cupboard just to the left of the front door. All the walls were painted an anonymous beige. There wasn’t much in the way of decoration—a few film and band posters, some black-and-white framed photos of London landmarks, a few ornaments lying on the sideboard and the mantelpiece. Nothing that would have told you much about the owner’s personality. There was no television. The battered Weinbach piano might have come with the flat, but anyone who tried it would have found it perfectly in tune. Nimmo looked at the box again. There are two main ways of concealing something. Either hide it where it cannot be seen, or put it somewhere it can be seen, but cannot be recognized. If you want to hide something from someone with x-ray vision, the first option is extremely difficult. He flipped the box over, looked at the underside, which was almost exactly like the top, and then turned it back. It didn’t look like anything else in his apartment. Brundle had a number of boxes like this in his laboratory next door. They held various scientific instruments that he used. This was where he spent all his time, although his living quarters were across the corridor. Pulling on a pair of latex gloves, Nimmo wiped any trace of fingerprints off the box with a soft cloth. 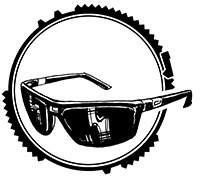 Then he took a pair of sunglasses from the pocket of his leather jacket, which hung on the hook by the door. Nimmo opened the front door and walked along the hallway. The scientist had knocked through the walls of three apartments on this floor to build himself a large laboratory, and had sealed off two of the doors. The third door looked normal, but Nimmo knew it had a solid steel core. The two locks were pretty standard, however, which Nimmo had always thought was a bit careless. He unhooked the legs of his sunglasses from their frame. This simple disguise was a handy way of hiding and carrying two of his lock-picks. The two locks took him less than a minute to open, and then he was inside. He had figured out Brundle’s alarm code some time ago—the date of his daughter’s Bat Mitzvah—and tapped the six-digit number into the keypad hidden in one of the cupboards, disarming the security system. As he passed one of Brundle’s office desks, the sound of a dog barking right next to him nearly made him jump out of his skin. He spun around to find a life-size pug dog toy sitting on the desk. It was the type that could make sounds, triggered by one of those infra-red sensors that detected people walking past. Its head was nodding idiotically. “Little git,” Nimmo muttered, with a grim smile as his heart settled down again. Brundle loved his gadgets, but this one was new. Nimmo quickly found some variously sized cases of scientific instruments piled on a worktable, coated in a thin layer of dust. He slipped the leather box in amongst the pile, wiped some dust off one of the windowsills and sprinkled it over the leather- covered box to hide its polished sheen. It looked completely at home. as if somebody was trying to hide it, and yet the mixture of metal and plastic parts in the other boxes would help conceal its contents from a Safe-Guard’s x-ray vision, unless the thing inside was a shape the watcher was specifically looking for. And this way, Nimmo wasn’t taking the risk of hiding it in his own apartment. This lab consisted of a long room, taking up about half of the footprint of the three original apartments. It was filled with computer equipment and workbenches; electronics tools such as soldering irons and phase testers lay among the clutter, along with circuit boards and other bits and pieces. Different types of microscopes stood along one table. Through an airlock door system was a smaller room. It was a ‘clean room,’ where Brundle did his micro- technology work. No dirt or dust could be allowed in there. You had to wear a coverall ‘bunny suit’ and a mask to keep the air clear of contaminants. There was an electron microscope in there, and a lot of other expensive gear. A picture of Veronica, Brundle’s daughter, stood in an attractive walnut frame on the desk in the center of one wall. ‘Nica,’ she preferred to be called. She was dark-haired, dark-eyed and coffee-skinned, like her father, and pretty in an offbeat kind of way. But her looks were marred by the port-wine birthmark over her left eye and the top of her cheek. Her father was devoted to her, but separated from her mother. Nica lived with the mother. Nimmo only knew a little bit about Brundle’s work—the scientist’s research was legitimate, carried out for some private client, or so he’d said. It had something to do with RFIDs—Radio Frequency ID tags—those multi-purpose micro-transmitters that were on everything nowadays, from clothes to cargo containers. They had replaced barcodes and added many other functions into the bargain. They were everywhere, and Brundle was working on some way of using them in skin implants or something. That was as much as Nimmo knew. Quickly resetting the alarm, he had barely slipped back out of the lab and locked the door again, when he heard footsteps on the stairs. Seconds later, he was back inside his own apartment, with the door closed. He recognized Brundle’s tread, and someone with him who took shorter, quieter strides. It seemed the scientist had failed to evade the Safe-Guard. Sitting down on the worn but comfortable armchair in the small living room, Nimmo closed his eyes, and listened carefully as Watson Brundle unlocked the door to the lab, and let the Safe-Guard in. Wizard Dawning (The Battle Wizard Saga, No. 1) by Lance, C. M.